Single duplex opening with finishing plate. Oversized plate covers flush plate and carpet edges. Finishing plate is 4 3/4" x 5 3/8" (121mm x 137mm). Flush plate is 3 7/8" x 4 5/8" (98mm x 117mm). 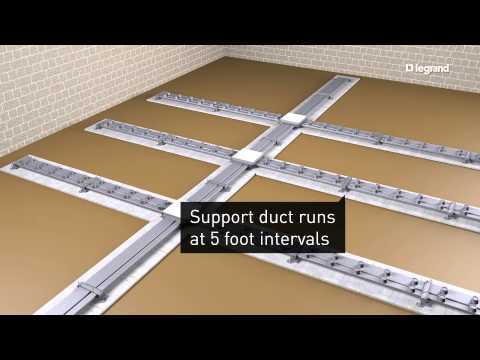 NOTE: A minimum 1 1/2" preset or afterset is required on Pro Series Underfloor Duct to support standard duplex receptacles and communication devices when using flush activations. The 1" preset or afterset should be specified for pedestal style fittings or when cabling will be pulled through the activation point. Brushed aluminum activations. Provides additional finish options for better aesthetics. Flush carpet plates provide ease of connection. Saves time and money. The preset and cover replace the need for a handy box to make conduit connections or splicing connections. Flush flanges and covers match Walker Floor Boxes. When products are installed in the same area, they offer a uniform apearance.